In 1998 it was time to add a smaller unit to our fleet. We purchased this 1995 Ford F-350 along with a 1995 Pegasus five horse trailer. Soon after the purchase, we realized how useful it was. In September 1999 we replaced the 1988 Bellamy, that our second owner-operator was pulling. 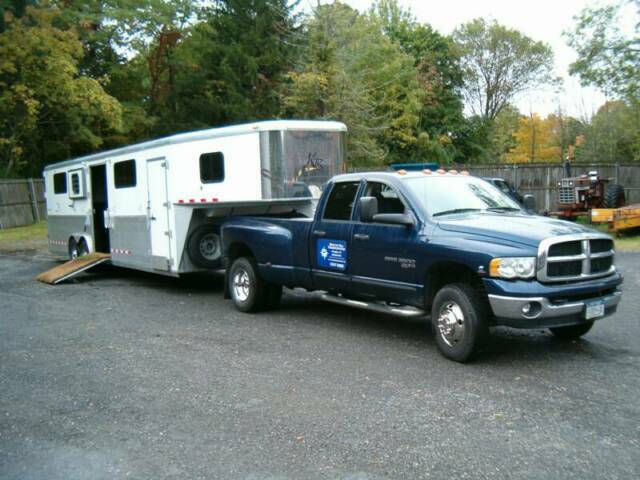 The replacement was a 1995 Phoenix fifteen horse trailer. This owner-operator with his 1988 Peterbilt stayed with us till June 2001. 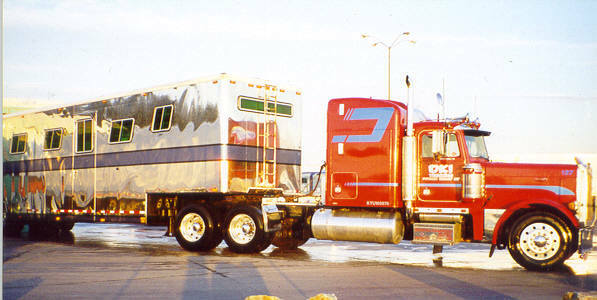 In 2000 and we expanded with a third 15 horse trailer, a 2000 Pegasus built on a 1999 Great Dane chassis, shown here with an owner-operator's cabover Kenworth tractor. This owner-operator was with us from June of 2000 till March of 2001. In March of 2001 another owner-operator came on board with his Western Star. He continued to pull this trailer as shown until November 2001 when he too moved on.